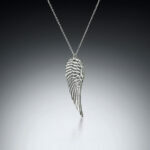 Fine Silver Angel Wing Necklace. 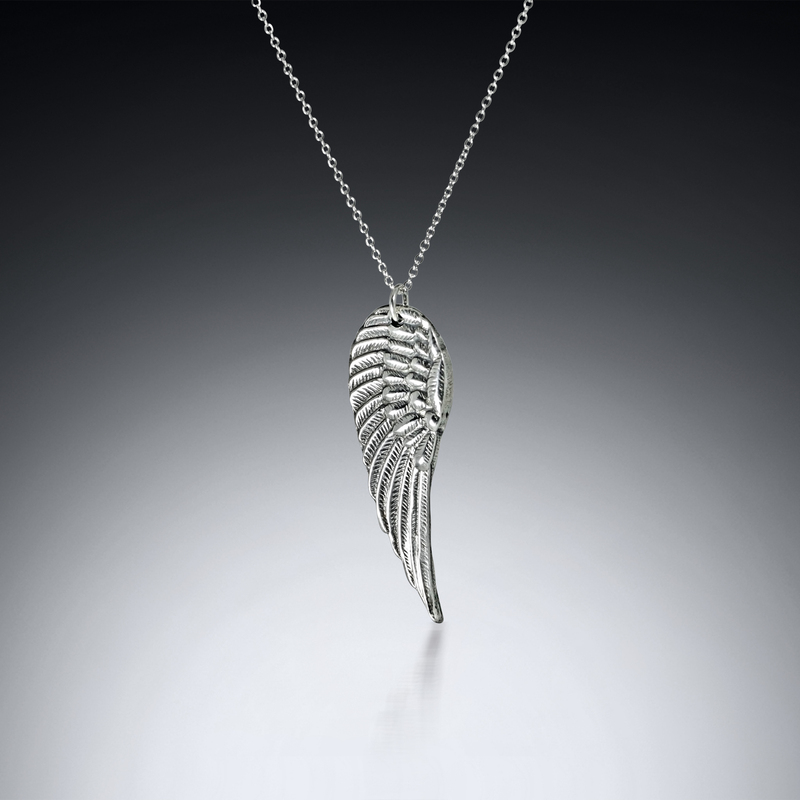 We create this angel wing by hand, using fine silver, fired in a kiln and hand polished to bring out every detail. Created to be both feminine and masculine. 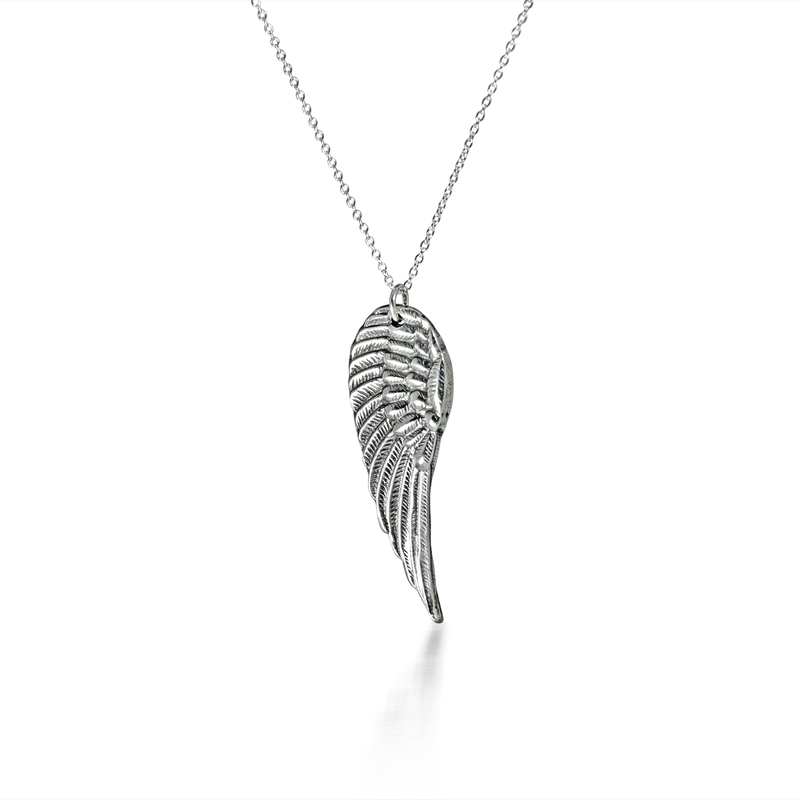 Anyone can wear this wing as a favorite talisman for faith, hope, love and strength. Made of recycled pure fine silver metal clay, polished and oxidized to bring forth the fine details. Finished with a sterling jump ring and 18″ sterling chain. Each piece will measure a little less than 2″long. Created by hand and no two will ever be alike. Handcrafted one at a time and is not mass produced by machine. Not intended to appear perfect and are in no way considered flaws but accentuate each artisan piece. Please polish with a soft cloth.